Are we back to Kitchen Exploits weekend again?! The week has been a challenging and literally painful one for me. If you have been following my Tweets, you would know that I had to undergo two surgical procedures earlier in the week to remove lumps from around my hip/waist. The biopsy results are not out yet, but my doctor is confident that I have nothing to worry about. Very thankful. Recuperation has been more painful than expected. I actually thought I could go home the day of the surgery. My doctor gave me *the look* of course, and when I was wheeled out of the operating theatre and regained consciousness, I knew he was absolutely right that I definitely needed to stay in! 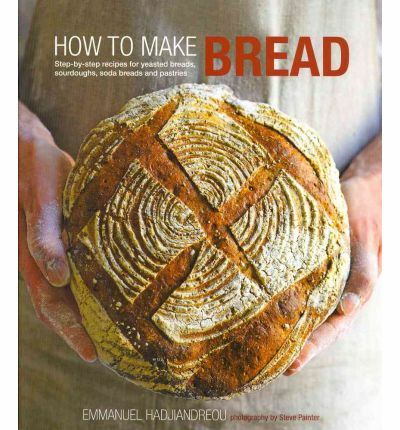 Anyway, prior to my surgery, I was baking a lot of bread rolls - because I chanced upon this wonderful recipe from Page 24 of How to Make Bread by Emmanuel Hadjiandreou. I highly recommend this book! Unfortunately I had no freezer space to freeze bread for post-surgery enjoyment. Breast milk storage had to take priority! These rolls don't require machine kneading. A simple hand kneading technique with blocks of time in between each knead for yeast magic to work was all that was required. This was a real plus for me, given that my machine broke several weeks ago. The crust had the right amount of firmness and crisp, and the insides a good balance of fluffy and chewy. My family loved the rolls! The book gives detailed step-by-step instructions with accompanying photos. I would not do justice to the author if I summarized a recipe here. So do check the book out! The only thing I would point out is to be careful if you are using cup measurements - given the different types of cup sizes. I weighed each ingredient and my breads turned out perfect. 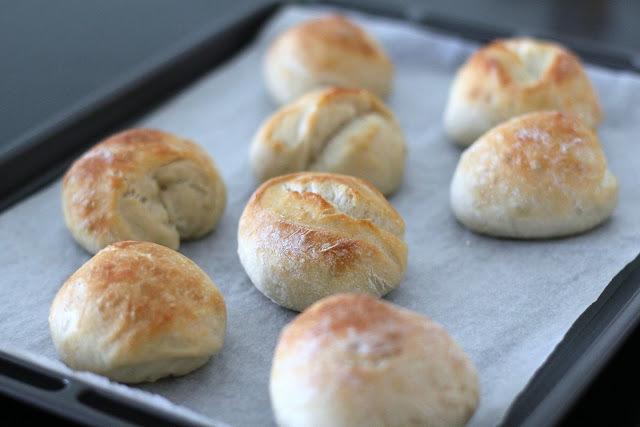 I would love to hear about your favourite bread recipe! Do drop me a line! Loving the new series! Your bakes and all the goodies you've made in the kitchen sure are making me hungry! 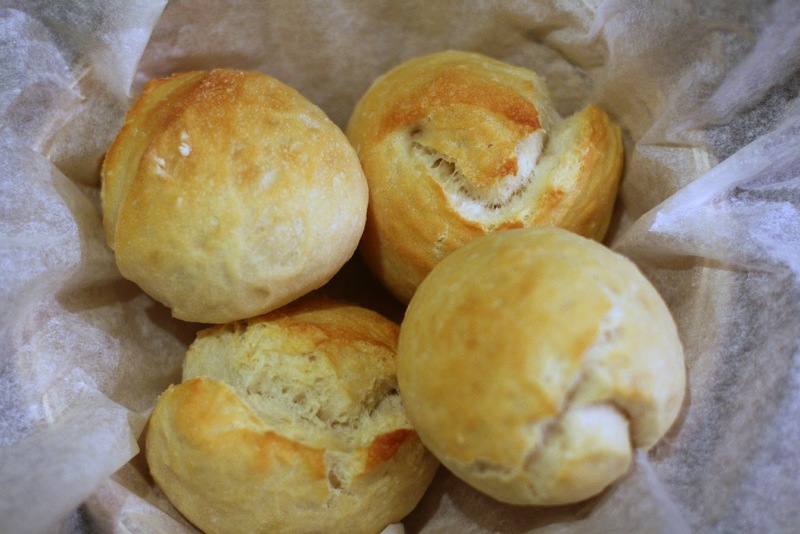 These bread rolls look really delicious. Here's hoping you'll get well soon! Thanks babe! I hope I can keep it up. Yes, recovery has been good, thankfully!